Press statement: Final flicker for Europe’s creative sector? Brussels, 10 October 2018 – With limited regard for Europe’s creative and cultural sectors, the European Commission has decided to remove certain exemptions for film and TV studio and live performance lighting from the draft Regulation on Ecodesign requirements for light sources and separate control gears, even when no suitable replacements are available. Creativity Works!, a coalition of organisations representing Europe’s cultural and creative industries, joins the live performance sectors in expressing its strong dismay at this decision. The removal of the exemptions has been done without any impact assessment on the creative sector. “We wholeheartedly recognise the important goal of reducing energy consumption. However, the proposals from the Commission set unrealistic technical requirements and will leave us without replacements for many of the light sources currently used in TV and film studios, theatres and concert halls across Europe,” stated Laura Houlgatte, Chair of Creativity Works! “Lights are meant to create a particular ambience that brings depth and emotional cues to our audiences, whether that’s in a theatre or concert hall, a television production or film. Specific situations deserve specific consideration rather than inflicting undue collateral damage to Europe’s creative and cultural sectors,” added Houlgatte. Creativity Works! respectfully calls on EU policy makers to continue the dialogue on these crucial exemptions for the cultural and creative sectors in Europe in view of adopting workable solutions. Creativity Works! is a leading coalition of organisations, federations and associations representing Europe’s cultural and creative sectors. 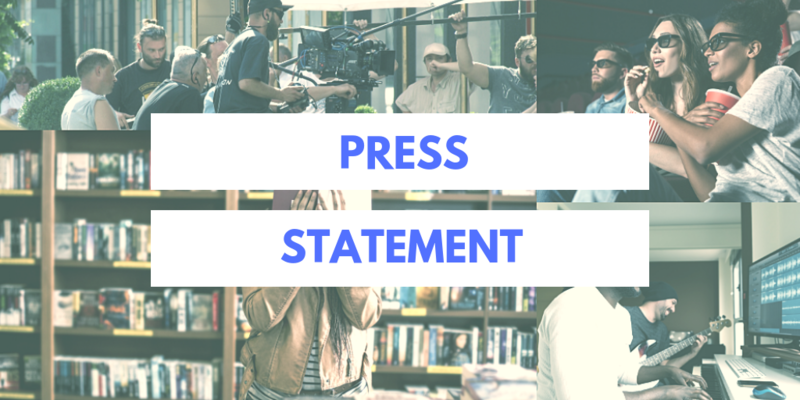 Our coalition represents writers, screenwriters, video game developers, broadcasters, book publishers and retailers, cinema operators, sports organisers, picture agencies, music and film/TV producers, publishers and distributors. Implementing Regulation of Directive 2009/125/EC of the European Parliament and of the Council with regard to Eco-design requirements for light sources and separate control gears.